Book Review AMC2 Issue 8: Quan Shen By Thomas Sauvin Reviewed by Sarah Bradley Last October I was privileged to take a peak at some of the Archive of Modern Conflict’s collection. A few times I was shown items and images that I’d seen in publications, and it was astonishing to see them in person. It hadn't occurred to me just how different they would be; there was a tangible presence absent from the publications. Amc2 Journal Issue 8. By Thomas Sauvin. AMC Books, 2013. 68 pp., color illustrations, 7¾x2½". Last October I was privileged to take a peak at some of the Archive of Modern Conflict’s collection. A few times I was shown items and images that I’d seen in publications, and it was astonishing to see them in person. It hadn't occurred to me just how different they would be; there was a tangible presence absent from the publications. This isn't a criticism of the reproduction or presentation in the printed book, but an observation that made me realize that AMC doesn't simply confront the challenge of how to share these materials, but also how to do them justice. That presence is intrinsic, yet perhaps impossible to replicate. AMC2 Issue 8: Quan Shen, is the most cleverly designed of AMC2’s publications to date, and pays special attention to the power of the object. One can't quite describe it as a book, though it definitely is that — it's also a small sculpture. I’ve showed Issue 8 to some friends, a few others have encountered it without introduction. The response has universally been one of confusion, curiosity and mild intimidation — most have asked for permission to touch it. 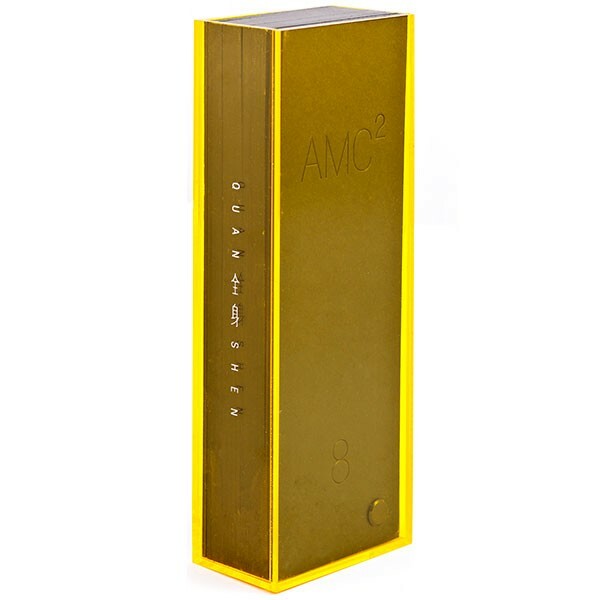 In its case it stands as a small black monolith with glimmering yellow edges. Slide it from the Lucite and you encounter a fan of images, bound like a book of swatches. On each card is a portrait, a collection featuring Chinese citizens taken between the 1930s and 80s, part of the enormous photo archive amassed by Thomas Sauvin. Amc2 Journal Issue 8. By Thomas Sauvin. AMC Books, 2013. The photographs are in a strange full-length format, which, according to Sauvin, was a cost cutting measure on the part of portrait studios. As Sauvin comments in the afterward, the images feel a bit coffin-like, a notion aided by the blackness of the cards themselves. At 2.5 inches across, they fit nicely in the hand with smooth edges shinny like plastic. The subjects stand straight upright with their arms at their sides or folded behind their backs — even the smallest variation crops fingers and elbow out of the frame. We are treated to smiling faces and proud stances, as well as some awkward posing. Many are easy to identify — a nurse, a boxer, plenty of soldiers and Little Red Books. The series starts with the kind of image that comes to mind with the phrase Maoist propaganda — a handsome young man in drab green looks out to an imagined horizon. The sequencing reveals occasional pairings; two pose with guns, two women in sunglasses with prominent handbags. The images depict mostly young people, some are endearingly poorly tinted, and most offer a sweetness — a humanness — that makes them naturally captivating. Though these images span fifty years, time expands and contracts until it doesn't seem to mean much. We look for indication of the self in clothing choices, posture, facial expression and background. We see into these images across years, informed by an accumulation of knowledge. We read and misread, make up stories about a character or by-pass the individual altogether, viewing them instead as a collective and a barometer of a society, of progress (or lack there of), of humanity. We see things that were almost certainly never intended, but of course, that's part of the magic and attraction of images like this. 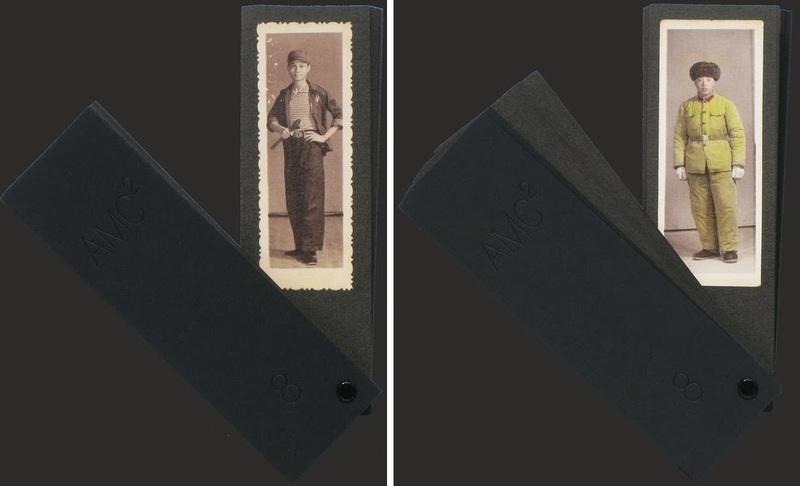 Flip the book over and the backside of the images are reproduced as well, with the occasional inscription, spots of discoloration and trace marks of black album paper where the photograph was formally glued. While the images remain static on the printed page they carry the inference of three-dimensionality. 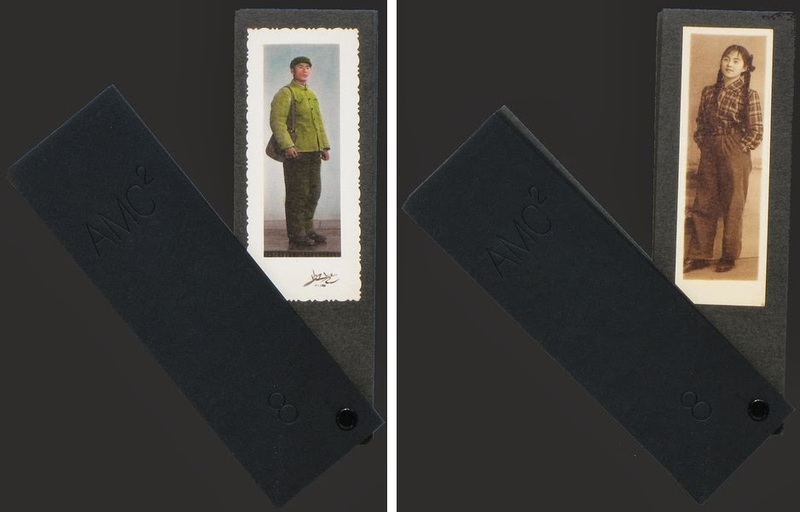 This detail can’t replicate the experience of viewing the physical photographs, but incorporating the memory of that original object goes a long way to create a new object with a presence all of its own.